According to Census workers, an Indonesian woman claims to be 157 years old, but does not have any identification to prove it. Oh yea, she has an adopted daughter too, who is 108 (with identification). “She doesn’t have identification papers because she burned them in 1965 so she wouldn’t be connected to a communist coup,” she told authorities. The story is on multiple sites around the world and everyone seems to be on the same ‘Is it true or not?’ page until it can be determined. 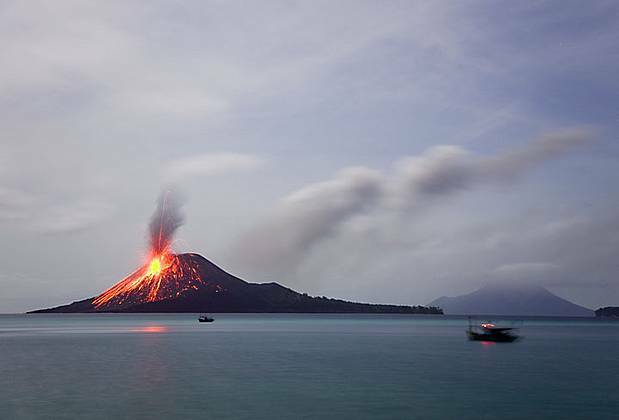 Click the image of Krakatoa volcano to read more (she claims to have seen the massive eruption of the volcano in 1883).